Summer is winding down and the kids are headed back to school. 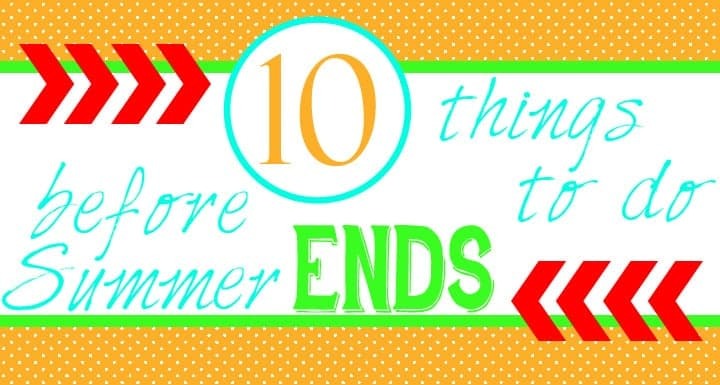 I am hoping to make the best of the fleeting days of warm weather so I made a list of 10 Things To Do With Your Kids Before Summer Ends that will keep up having fun and making memories all the way until fall! To see the list, click on the picture above or stop by and see our guest post at the Hello Darling blog at MOPS International and check off the fun before it is too late! 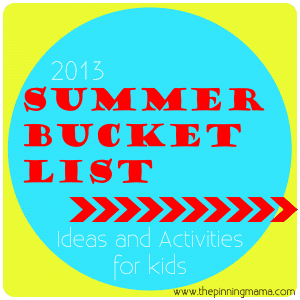 For more ideas on Summer fun for kiddos see our 2013 Summer Bucket List. Love the idea of having a bucket list for what to do before summer winds down. I wish I had this 3 weeks ago! Maybe do a race to the finish super version! The older kids can make it a game! I wish I had used a bucket list when my girls were younger! Great ideas! You could still have lots of fun with one even though they are older! Most of the items on the list I would do with just the hubby. Also, you could give each a list and let them race throughout the summer to see who can finish their list first! I love this! My kids and I are going to get started on this list…well, maybe not ALL of the items, but some of them! Thanks for posting. I’m sharing this with my FB followers.